Many odors penetrate into the pores of walls, ceilings, floors, and furniture. And from there they can linger for months or even years. That’s especially true for smoke smells after a building fire. Moreover smoke and soot are highly acidic. In addition to staining, they corrode metals (including the insides of business and personal electronics) and given enough time even etch into glass and porcelain. So prompt smoke odor removal also reduces fire damage. Sometimes just a few hours can make a difference in what can be rescued and what can’t. So we provide 24-hour emergency services with prompt arrivals within 60 minutes. Our highly trained and certified technicians are thorough and thoroughly professional in their smoke removal services. Fully armed with the latest techniques, products, and equipment they’re also experts in odor elimination for cigarette smoke other persistent smells. 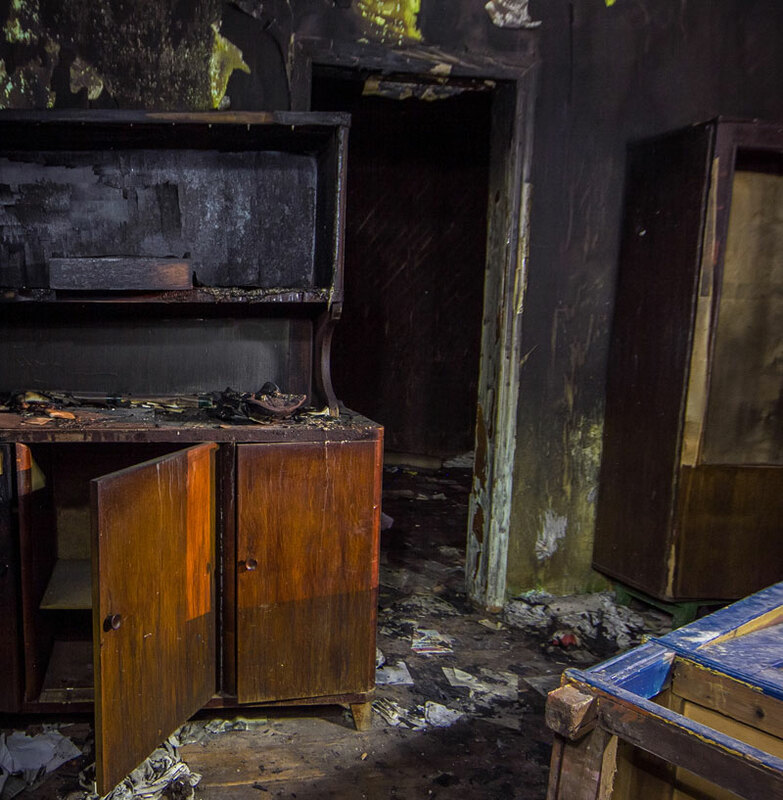 Fire damage restoration involves more than replacing burned and charred materials. Smoke is an aerosol of tiny particles that can reach just about anywhere within a building, and can damage just about anything it touches. Smoke and soot from a single fire will contain thousands of chemical compounds — hundreds of which are toxic, staining, acidic, or odorous. A few materials must be cleaned within a couple of hours to avoid damage, but for most, there’s just a 24-48 hour window before stain, corrosion, and fire odors become permanently locked in. Fire and tobacco smoke’s compounds make their way into the wood and other porous materials where they become trapped. They also make their way deep into the inner structure of a building where cleaning can’t reach. Slowly making their way back out, they’re responsible for those fire odors that linger for years. For permanent smoke odor elimination, our crews use thermal foggers to re-open pores and neutralize those smells anywhere and everywhere in the building. In business since 1999, our company is a fully insured and licensed California contractor. 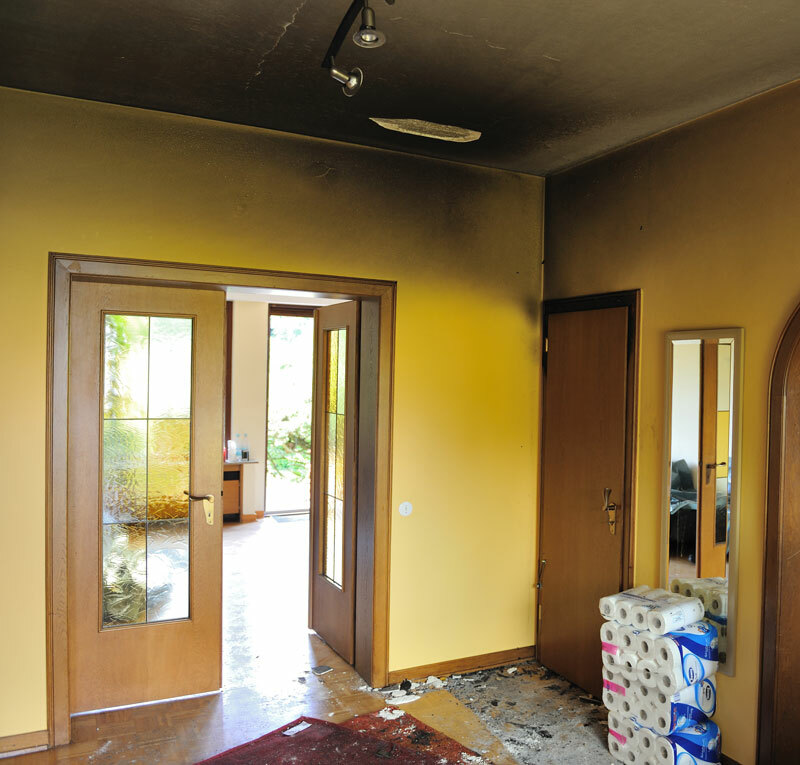 There are no specific licenses for smoke damage restoration, so we employ technicians certified by the IICRC (Institute of Inspection, Cleaning, and Restoration Certification) to assure only the best in smoke removal. They’re the experts on how to eliminate smoke and other odors from homes, businesses, and hotel rooms. And they’re on call for 24-hour emergency service. A locally owned private company, we’re dedicated to customer care start-to-finish. Whether for homes or businesses our project managers strive to keep disruptions to occupancy and operations down to the absolute minimum. We also save our clients time and frustration by working directly with their insurance companies.